It was just four short years ago that I represented Canada at the 2014 Winter Paralympics in Sochi, Russia. I had no idea what to expect. At 17 years old, I had been a prospect athlete with the Canadian Para Alpine Ski Team for two seasons and had only a couple of World Cup races under my belt. I wasn’t going to Sochi with the expectation of bringing home any medals. The Sochi Paralympics taught me the ins and outs of the Games. That experience prepared me for Pyeongchang in a way that has given me a completely different headspace. I am living a paradox now: I feel total calmness and total excitement! It’s not the slopes, course sets, or competitors that make the Paralympics so different from intermittent events — it’s the funding, media presence, viewership, and the massive number of people involved. As a full-time athlete on the Canadian para alpine ski team, I have competed in many World Cup races, World Cup finals events, and world championships. Although these are major events, none of them come close in scale to the Paralympics. I learned first hand in Sochi how the high levels of funding for the Paralympic Games affects athletes’ day-to-day lives. Universal transportation, accommodation, food, and heightened security, are rarely (if ever) present at any other major event on the para alpine circuit. These differences may sound subtle, but they’re key details in preparing and visualizing for Pyeongchang. If you know what to expect — what thousands of cheering fans sound like when you cross the finish line, or what it’s like going through security checkpoints — it’s easier to make a mental plan and prepare. The unknown can throw off your routine. But this time, I know what to expect and I’m ready. 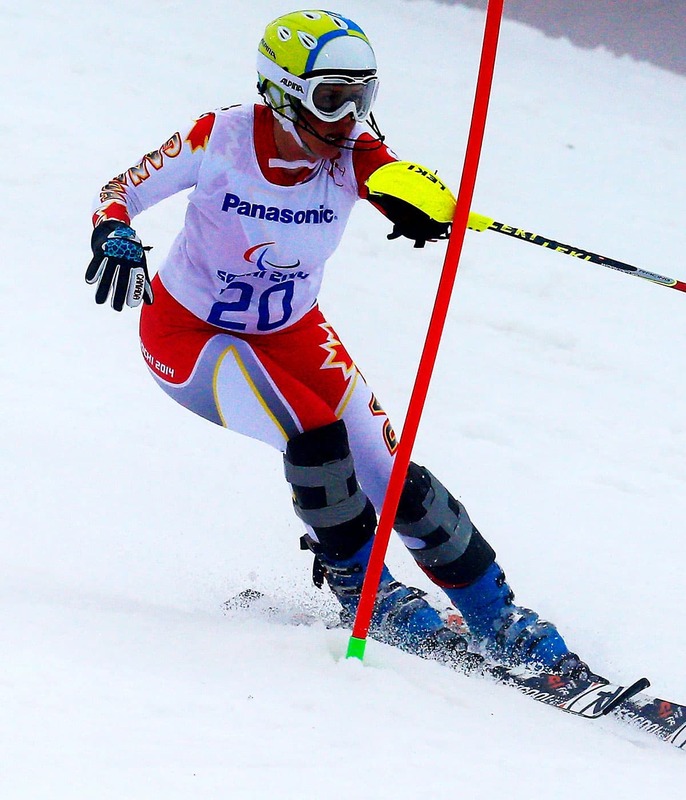 Over the years, media coverage of para alpine skiing has increased. I was pleasantly surprised by the strong presence of Canadian media throughout the Sochi Paralympics. I will go into Pyeongchang with the expectation and know-how to navigate the media requests, cameras, and post-race interviews that are unique to the Games. I am also primed and ready for the grandstands and live broadcasting. Before Sochi, I knew that Olympic events drew big crowds of fans, but I did not expect the turnout to be anywhere near that of the Paralympic events. I was wrong! There were tons of fans in the stands, and all the events were being streamed, so friends, family, and any Canadian who wanted to could cheer along. This was one of the highlights of my Sochi Paralympics. I love the added energy and excitement that viewership brings during the Games, and I look forward to it in Pyeongchang. This year fans back home can watch us on TV, which is really exciting. I love that more and more Canadians are watching us compete. Erin Latimer on skiing with one pole. One other thing Sochi showed me was that there are vast numbers of people involved in the Paralympic Games. The Canadian para alpine ski team fluctuates some years, but averages around 10 athletes, three coaches, and four additional support staff. The Games involve Canadian athletes, coaches, and staff from six different sports, including the Canadian Paralympic Committee. That is a big bump up from other events, and that’s just Team Canada. So, add all the athletes and coaches from around the world, and the army of volunteers inside and outside the field of play (the volunteers in Sochi were amazing, btw, and it’s obvious that the volunteers are what really helps set the Paralympics apart from other events). As I head into Pyeongchang, I know what to expect, and will not be caught off guard by the sea of new faces. I am prepared, focused and excited. I am so grateful to represent Canada. Although I head to South Korea with my sights set on the podium, I remind myself of another lesson I’ve learned along the way: enjoy the process.